Today is Dr. Martin Luther King day and when I woke up, I was not sure how to honor it. I had planned to go into the church for scheduled meetings, but unsure if the holiday would truly register for me. Prior to coming into the office, I went to the YMCA to do a group cycling class. I expected a large crowd due to the holiday, however there were only three of us, including the instructor Sara. As she started the class, she told us that she had selected all the music, centered on MLK’s “I Have a Dream” speech. Some of the songs had only a vague reference to it, but others, like U2’s Pride, were a direct reference to Dr. King’s life of service. Then, as we neared the end of the workout, she played for us a portion of the speech. The three of us kept spinning as we listened again to the familiar cadence of Dr. King’s preaching. One sentence stood out, “I have a dream that my four little children will one day live in a nation where they will not be judged by the color of their skin but by the content of their character.” That hope still resonates for me. What also struck me during this workout was how simple a testimony this instructor gave by her selection of songs and the speech. In a simple, caring way she integrated her witness to Dr. King into her daily life as an instructor. I was impressed and thanked her for that simple act of honor. I don’t think I cycled any better than usual because of that act, but my heart was a bit lighter and joyful. The C in YMCA stood out. Have you found ways to honor the legacy of Dr. Martin Luther King, Jr? 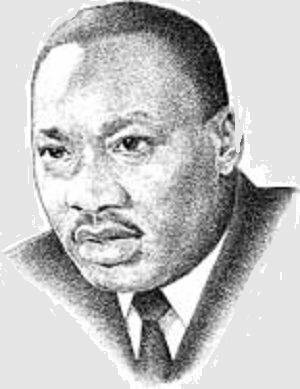 This entry was posted in Physical Exercise, Preaching, service, spiritual exercise and tagged Dr. Martin Luther King, honor, spinning, witness, YMCA on January 17, 2011 by Pastor John Keller.